Lawrence Lessig is the Roy L. Furman Professor of Law and Leadership at Harvard Law School, and director of the Edmond J. Safra Center for Ethics at Harvard University. Prior to rejoining the Harvard faculty, Lessig was a professor at Stanford Law School, where he founded the school's Center for Internet and Society, and at the University of Chicago. He clerked for Judge Richard Posner on the 7th Circuit Court of Appeals and Justice Antonin Scalia on the United States Supreme Court. Lessig serves on the Board of Creative Commons, MapLight, Brave New Film Foundation, The American Academy, Berlin, AXA Research Fund and iCommons.org, and on the advisory board of the Sunlight Foundation. He is a Member of the American Academy of Arts and Sciences, and the American Philosophical Association, and has received numerous awards, including the Free Software Foundation's Freedom Award, Fastcase 50 Award and being named one of Scientific American's Top 50 Visionaries. Lessig holds a BA in economics and a BS in management from the University of Pennsylvania, an MA in philosophy from Cambridge, and a JD from Yale. 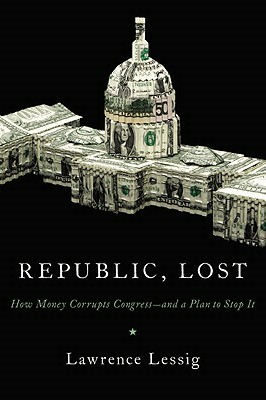 "Mr. Lessig's analysis of the distorting effects of money is . . . dead on."